So, you may have noticed that I've been a bit rubbish at blogging recently. Well, life sort of took over & things are a-changing. I'm recently single after a split from my long-term boyfriend (who's popped up on here a few times) and it felt really weird not acknowledging it online as this is such a personal blog! Anyway - it was obviously weird and very sad, but Craig remains one of the nicest people I know, and therefore, this has been a really positive (and mutual!) decision. So now we're in the process of selling the house and wrapping up bits and pieces... and then it's onwards, and onto my next adventure! Whilst it has been a surprisingly easy process, it's always nice to have a fun distraction every now and again, and the last few months have definitely needed them! So here's what's been making me smile recently. 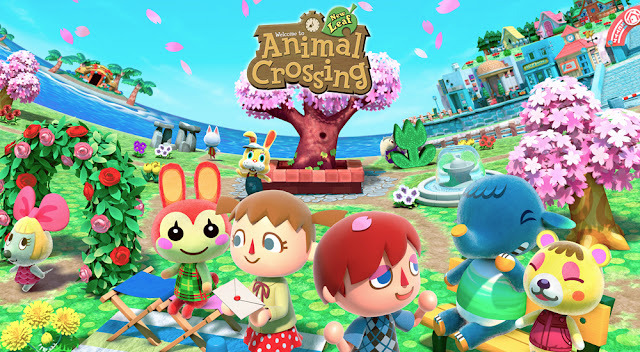 I saw that the newest version of Animal Crossing was coming out, and without much (any) thought, I pretty much immediately stalked ebay, just so I could buy a Nintendo 3DS and play it. I love Animal Crossing, and have spent MONTHS of my life playing it, it's just so good! I've only owned it for a week and already am having conversations with my (real-life) friends about things that I've done in my (ac) village. Don't judge me. I know summer has arrived when the Edinburgh Film Festival Party is on, and the photobooth is almost always my favourite part! 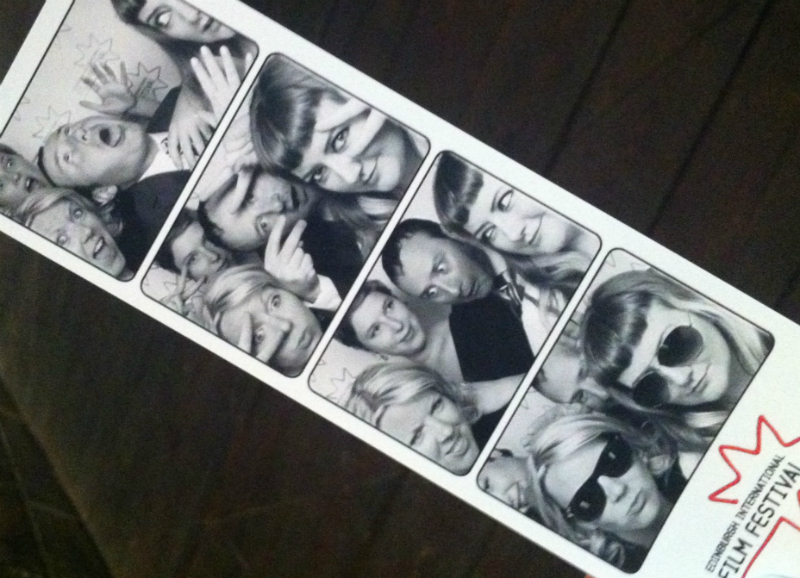 Here are some of my very favourite people & I recreating famous movie scenes.. Can you guess them? (Perhaps don't even try, let me continue to pretend that we're all amazing actors..). I took a week off work this month and filled it with pals, sunshine, parties and adventure, and it was perfect. There's nothing like surrounding yourself with wonderful people and times to feel good! Look at this ridiculous guy. How could he not cheer you up? One of Riley's favourite ways to lie is on his back with his paws up in the air, but he HATES getting his tummy touched, so this is a deceptively dangerous position. 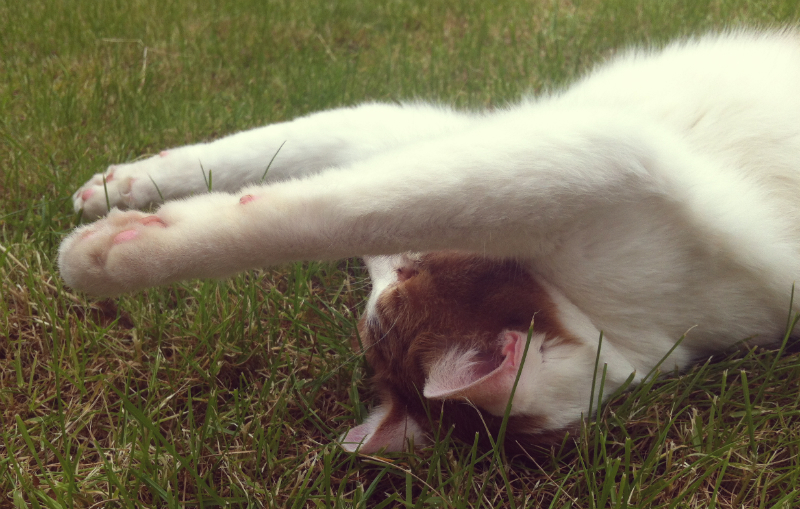 This was how he lay one afternoon in the garden, just watching the birds (who all must think he's a bit of an idiot). I'm waiting for my 3ds to come in the mail - the game is waiting ready. Eep! Is it as good as I hope it will be? oh my, this looks like so much fun! Such a happy post. :) I haven't really played animal crossing. It looks so cute. Everyone I know is obsessed with it at the moment.